After a year of maneuvering. Apple and Qualcomm are set to face off in Judge Gonzalo Curiel's courtroom starting on Tuesday afternoon. AppleInsider breaks down the developments of the last year, leading up to the trial. The public-facing fight between Qualcomm and Apple began in January 2017. On link textJanuary 17, 2017, after three years of investigation, the US Federal Trade Commission launched a lawsuit, accusing Qualcomm of forcing Apple into an exclusive deal to buy its baseband chips. According to the FTC, when Apple sought to lower the patent royalties it was paying Qualcomm, the latter firm made that conditional on Apple buying Qualcomm chips exclusively between 2011 and 2016. The iPhone 7 and iPhone 7 Plus used Qualcomm chips in some configurations, and since then, Apple has shifted to Intel modems across the board. On January 20, 2017, Qualcomm's legal woes connected to Apple escalated, as the iPhone manufacturer sued over $1 billion in unpaid rebates. Apple alleged that the payment hadn't been made because it had cooperated with the Federal Trade Commission's investigation of Qualcomm, which led to the lawsuit. In April 2017, Qualcomm made its own filing with the court. In that filing, it attempted to refute Apple's complaint, accusing it of attempting to pay less than the fair market value for access to Qualcomm's standard essential payments, breach of contract, and wrongly inducing regulatory action in a number of jurisdictions, among other issues. 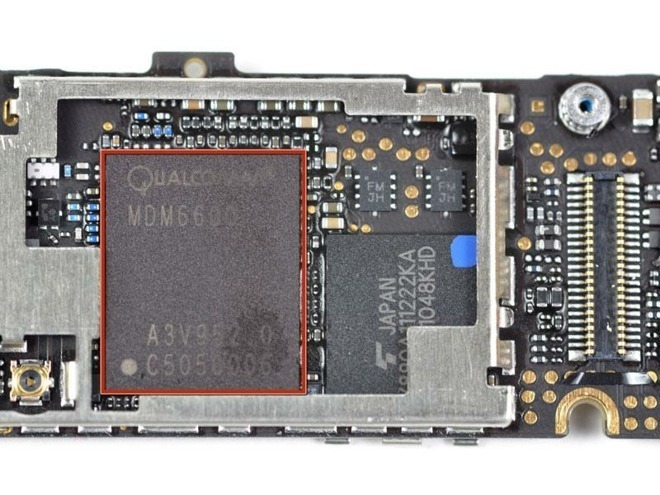 Qualcomm claims Apple stole trade secrets relating to its intellectual property that it then provided to Intel, specifically software used to improve the performance of its baseband chips. A recurring theme in this complaint by Apple, and many others across the globe is the accusation that Qualcomm has abused its market dominance to make chip buyers sign unfair patent deals. This claim has in fact been the subject of several antitrust investigations, conducted by the U.S., Taiwan, and South Korea. An August 2018 settlement saw Qualcomm pay $93 million in fines to Taiwan and promise to invest $700 million in the country over five years. At its core, the battle seems nearly philosophical. A report on Saturday by the Wall Street Journal claims that Apple CEO Tim Cook and Qualcomm CEO Steve Mollenkopf have no common ground to forge an agreement, that the battle has become "personal." This is borne out in part by Apple Senior Vice President Jeff Williams' testimony at the Federal Trade Commission trial. "The whole idea of a percentage of the cost of the phone didn't make sense to us," Mr. Williams said regarding Qualcomm's licensing practices. "It struck at our very core sense of fairness." Since Apple filed its suit, Qualcomm Mollenkopf and Cook have made contradictory statements to the press regarding negotiations, each standing their ground on the matter. Where Qualcomm has maintained that a settlement was imminent on multiple occasions, Apple has denied that there were talks going on, and have reiterated that it will have its day in court. Mollenkopf has said that negotiations were happening, and progressing. His first remarks on the matter were in July of 2018. However, in early November 2018, Apple sources denied that there had been talks for some time. No discussion is happening "at any level," a source inside Apple said. "There is absolutely no meaningful discussion taking place between us and Qualcomm, and there is no settlement in sight. We are gearing up for trial." "We do talk as companies," Steve Mollenkopf told CNBC's Jim Cramer in an interview on November 18, 2018. The situation is consistent with "the fourth quarter of the game, and not the first quarter." In late November, it was discovered that Qualcomm hired Definers Public Affairs to conduct opposition research against Apple. Definers used the NTK Network to disseminate stories hyper-critical of Apple and its CEO Tim Cook. 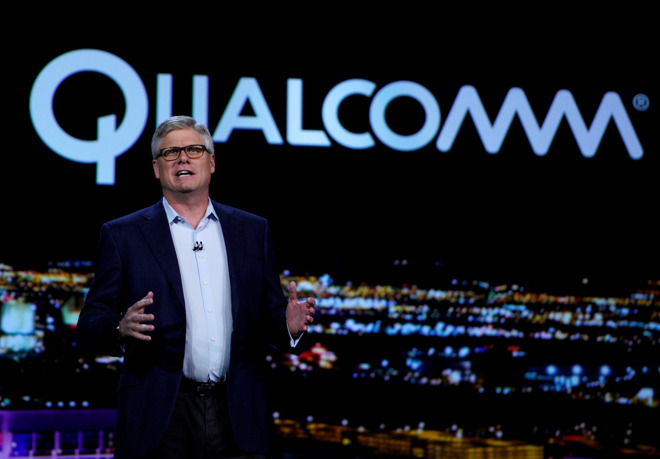 The network had posted at least 57 articles pertaining to the company in 2018, some of which directly address the dispute with Qualcomm. 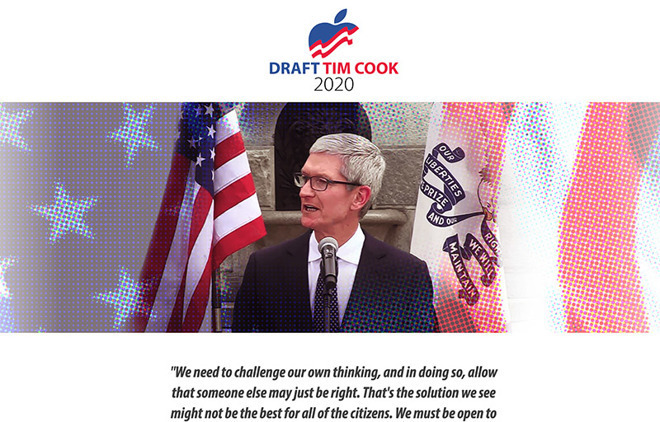 Screenshot of "Draft Tim Cook 2020," a website supposedly created by Definers Public Affairs. The report claimed that Definers hawked "anti-Apple research" to various media outlets without divulging a funding source. One memo, titled "Apple Bowing to Chinese Cyber Regulators," took Apple to task over a seemingly contradictory stance on privacy in China. 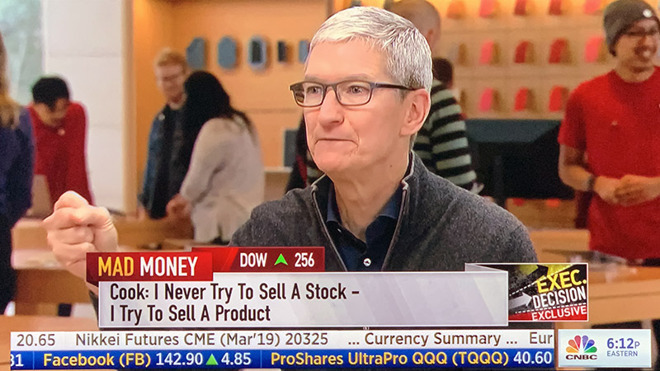 On January 8, 2019, Cook talked with Cramer again. In a wide-ranging discussion focusing mostly on the hammering Apple stock had recently taken, and an income revision, Cook addressed the international Qualcomm battle, which hadn't been going that well for Apple at that point. Qualcomm had just won a Chinese sales ban against certain iPhone models that contain software in infringement of two owned patents. That court decision was followed by a similar finding in Germany, which resulted in a sales ban on all iPhone models save for the iPhone XR and XS series. But, Cook repeated the same missive that Apple had maintained in regards to discussions with Qualcomm —specifically, that there was nothing going on in that regard. A few days later, Qualcomm disagreed with Cook's remarks, calling them "misleading"
Regardless if there were talks or not, Apple attorney William Isaacson made it clear that Apple and Qualcomm wouldn't have any settlement before the trial. "The parties are going to need to go to trial," advised Isaacson. "There have been unfortunate articles lately that the parties are close to a settlement, and that is not true. There haven't been talks in months." Qualcomm has publicly said, that if Apple wants, it will provide 5G modems for a future iPhone. At this juncture, that seems unlikely. The suit filed by the Federal Trade Commission concluded on January 30, but a ruling by Judge Lucy Koh has yet to be issued. That matter hangs above the proceedings, and a timetable for a ruling isn't known at this point. Like the similarly contentious Apple versus Samsung patent trials that Judge Koh also presided over, the Apple versus Qualcomm trial will be star-studded, as far as Silicon Valley heavyweights are concerned. According to a joint witness list filed with the U.S. District Court for the Southern District of California, Cook will offer testimony alongside other top Apple executives including COO Jeff Williams, SVP of Worldwide Marketing Phil Schiller and chief IP counsel B.J. Watrous. Former hardware chief and current special advisor Bob Mansfield and former general counsel Bruce Sewell are providing depositions for the trial. Cook is expected to offer direct testimony on Apple's business practices and strategy, agreements with cellular network carriers, licensing practices and other topics germane to the suit asserted by Apple over Qualcomm's alleged abuse of monopoly power in the wireless modem industry. Qualcomm is expected to provide co-founder and former chairman Irwin Jacobs, Mollenkopf, and president Cristiano Amon. for testimony Jacobs is expected to testify about Qualcomm's founding, contributions to cellular technology and standardized cellular technologies, and ongoing business practices. Mollenkopf will also appear live in court to testify on Qualcomm business practices, the firm's "no license, no chips" policy, incentives and rebates, FRAND practices and more.